Free Shipping Included! 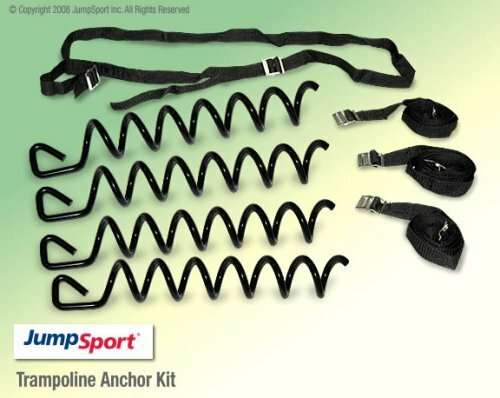 JumpSport Trampoline Anchor Kit by JumpSport at Ipswich Recreation. MPN: ANJ-S-10625-01. Hurry! Limited time offer. Offer valid only while supplies last. Contains four heavy-duty straps and four "cork-screws"
If you have any questions about this product by JumpSport, contact us by completing and submitting the form below. If you are looking for a specif part number, please include it with your message.